As July comes to and end, it is time to start thinking about the back-to-school season. This means backpacks and lunch boxes are already on store shelves, and kids are already whining about the impending end to summer. The anxiety of going back to school (or to school for the very first time) is stressful for any child or parent. But for a child with special needs, this transition can be completely overwhelming. Even though July isn’t over, there are some things you can do now to make the transition back to school easier and less stressful in September. Then be sure to share this information with your child’s teachers. The more the teachers and school personnel understand your child and his or her diagnosis, the more smoothly the transition back to school will go. Share any and all information that you can with your child’s teacher. Teachers can communicate with a notebook sent from school to home, via email, or some teachers are even using phone apps to communicate directly with parents throughout the day! You can also work with the teacher early to develop goals for your child. Getting these goals in place early will ensure that you and the teacher are both on the same page, and that any plans are implemented at the start of the school year. If your child is old enough, be sure to involve them in any goal setting (and even in the journaling mentioned above). If your child is aware of behavioral issues that are interfering with the school day, allow them to take part in setting the goals to solve those issues. If the teacher is willing and able (and he or she should be! ), ask them to be present when you visit the school. This will help your child gain familiarity with the teacher, and it will also give you an opportunity to start communicating any goals and plans that you would like implemented during the year. Even though getting up early doesn’t sound fun for anyone, getting into the morning school routine now can save a lot of headaches later. Establishing a bedtime routine can be even more important. Help by scheduling a set bed time and spending time winding down before bed. A good night’s rest will help when that early morning alarm sounds. If you know your child’s school schedule, you can also start to implement that at home. If your child won’t eat lunch until 1PM at school, have them start eating a morning snack and a later lunch. If your child is extremely tired after school, it may be necessary to get them into the habit of relaxing or even taking a short nap in the afternoon. You are your child’s advocate. It can be overwhelming and a little intimidating when working with school districts and administration. Be sure to be firm, and demand what is necessary for your child. You can familiarize yourself with the district’s regulations and policies, obtain a special needs advocate to sit in any meetings, and attend any trainings or conferences on Special Needs Education. The 8th annual John Paul II Center for Special Learning’s Legacy Gala was held Saturday night in Reading. 650 people attended this year’s Gala, which took place at the DoubleTree by Hilton in downtown Reading. Last year’s Gala raised over $350,000 for the John Paul II Center. The final total for Saturday night has not been released, but the Center is hopeful they have topped last year’s total. The Ehst family was honored at the Gala with the Center’s Halo Award. This award recognized the Ehst’s family’s $400,000 contribution to the John Paul II Center over the years. On Saturday night, the John Paul II Center administration and students specifically requested help to obtain kitchen equipment, plates and utensils, and funding to expand the Center’s cafeteria. Attendees of the Gala did not hesitate to make donations to the amazing cause. The John Paul II Center offers programs for school age children and adults. The school age program focuses on academics as well as life and social skills. The adult program offers support focusing on independence and life skills. Many students of the Center were present at the Gala. They helped to greet attendees, performed during dinner, produced a video to encourage donations, and created artwork that was auctioned off during the program. One student charmed guests by playing the piano during cocktail hour and the silent auction. Overall, the Gala was an absolute success, raising money for an amazing cause. To learn more about the John Paul II Center for Special Learning, or to donate to the school, please click here. 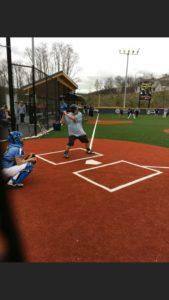 Opening day for Baseballtown’s Dream League was Saturday at the Savage 61 Dream Field in Temple. You can view the opening day trailer here. The first home run was hit at Dream League Field on Tuesday night by Brett Howerter of Bally, PA. Brett was playing during the field’s opening week when he smashed the inaugural home run out of the park. Dream League’s motto is “making dreams come true, one pitch at a time.” Baseballtown’s Dream League was started to provide everyone, regardless of ability, the opportunity to play America’s favorite past time. Savage 61 sponsored Dream Field, which was designed specifically for those with cognitive and physical disabilities. The field is made with a special turf field that is easily accessible for those in wheelchairs or walkers. The field is also flat and slightly smaller, allowing children with all abilities to participate fully and safely. Dream League has no requirements or age barriers, and anyone is welcome to participate. Players are given “angels,” who will assist in making sure everyone is safe and encouraged throughout the game. Games will be played during the week and on weekends. If you are interested in signing up to play, or volunteer as an “angel,” please visit the Dream League website. Many local businesses such as Chuck E. Cheese, and The Please Touch Museum are stepping up when it comes it accessibility for children with special needs. Even local barber shops, like Whiskers Barber Co. & Shave Parlor, have been recommended for their ability and willingness to work with children with special needs. Venues in the Reading area are also offering sensory-friendly days for children with special needs. Chuck E. Cheese offers a sensory-friendly experience on the first Sunday of every month. The venue promises less crowds, dimmed lighting and music, and limited visits by Chuck E.
The Please Touch Museum also offers a “Play Without Boundaries” program at their facility, which is also offered on Sundays. The museum is quieter and less crowded on these days. The museum also offers Quiet Kit sensory toys in addition to its usual exhibits, art programs, and performances. Please visit any of the above websites for more information about the sensory-friendly days offered at these locations. You can also visit the Autism Speaks website for a full list of participating venues and locations. A new phone app has been launched, which is notifying police if they are pursuing someone with special needs. When officers approach someone wearing a special beacon, they will be notified of the person’s name, disabilities, and best method to approach the special needs individual. The app can even provide the officer with de-escalation techniques, if needed. The app has been designed to make encounters between law enforcement and the special needs community safer and more comfortable for all of the parties involved. We hope more counties get on board with using this ground breaking technology. 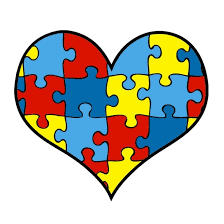 This month, Autism Speaks featured how to help children with Autism develop social skills in their monthly newsletter. Visit the Autism Speaks website in order to sign up to receive the monthly newsletter. The article gives some tips on helping to develop your child’s social skills, one of which is participating in Social Skills Groups. Our office offers various opportunities for your child to socialize with others. We host game nights, dance classes, hockey and baseball games, and basketball each month! These events can provide your child with an opportunity to meet other children that are the same age and to interact with others from the community. Feel free to call our office, or visit our events page, to find out more about these Social Skills Group events.